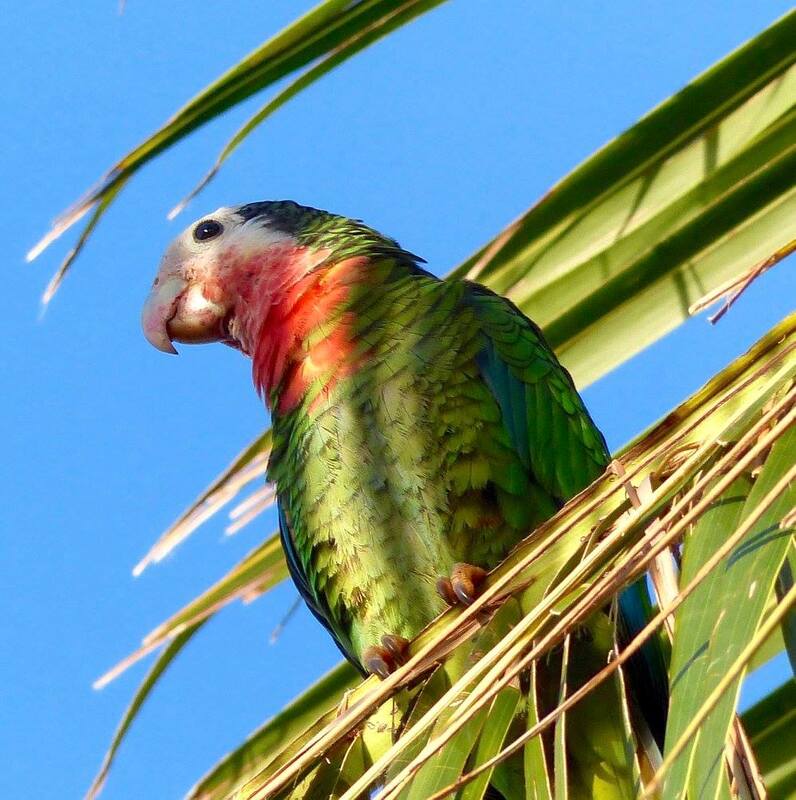 A while back I wrote a post about the mysterious population of Cuban parrots in Nassau. 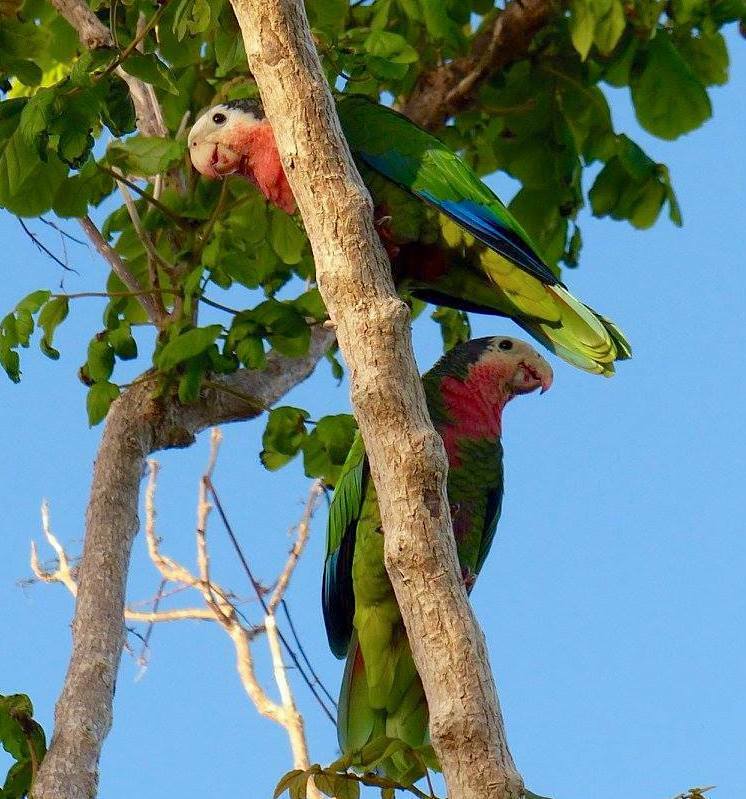 The mysteries being, how and when did they get there; and how and especially why is the population slowly increasing when there is scant evidence of nests, fledglings or juveniles; and no equivalent secluded location for cave-nesting, as the Abaco parrots do in the limestone holes in the Abaco National Park. 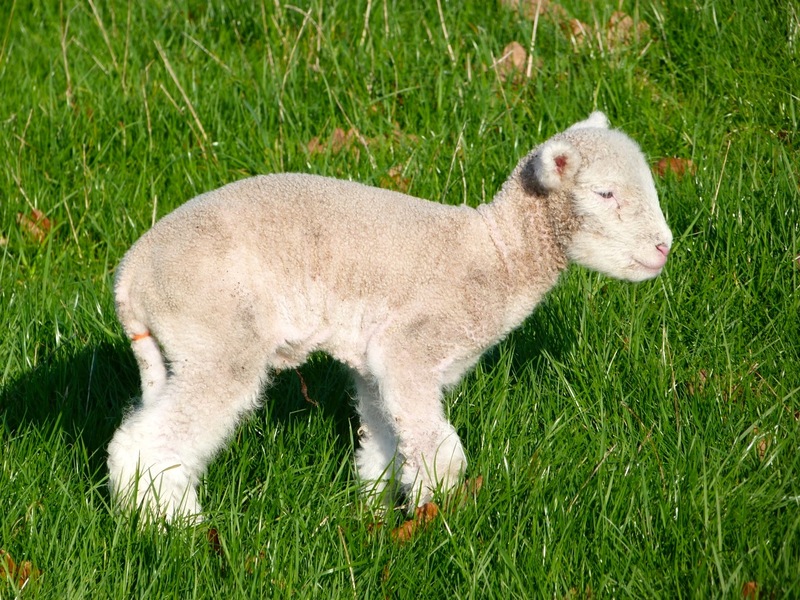 I won’t expound the theories again – if you are interested you can check out the original article HERE. You’ll find I have since incorporated quite a few very informative comments that were made in response, touching on the above mysteries but with differing theories. HOW BIG IS THE NASSAU POPULATION? STOP PRESS On 6 October 2016 New Providence was in the direct path of Hurricane Matthew. 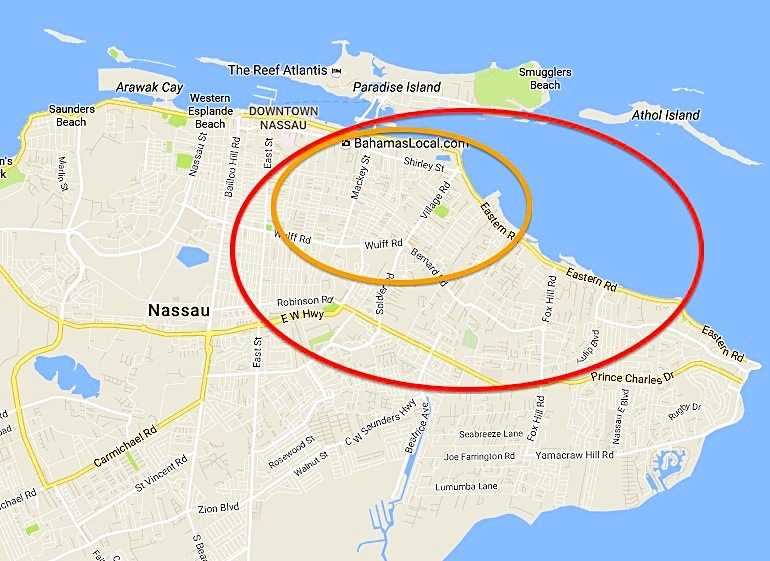 Despite the power of the storm, by the following day there was a report of a sighting in Nassau. Today, 9 October, comes a report of a group of 15 – as far as I am aware the highest number sighted together. 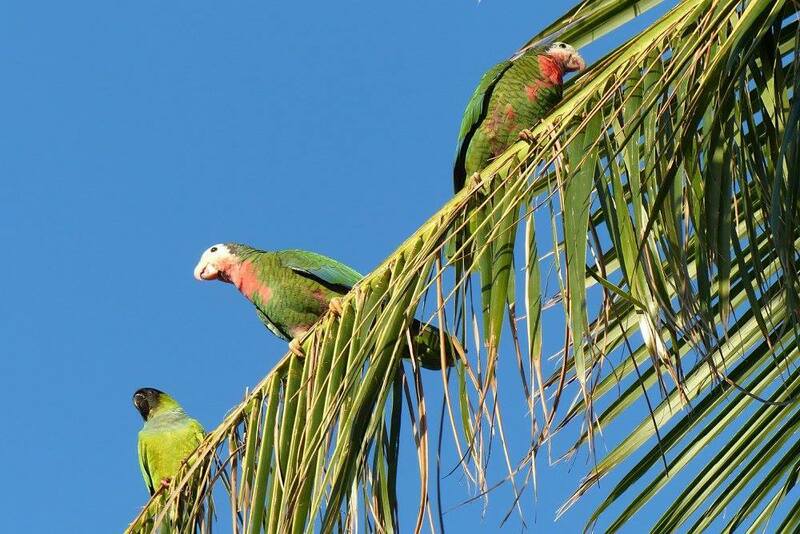 Maybe they all came together for solidarity… In any event, the sighting confirms that, at least as far as the parrots are concerned, the hurricane has not caused any problems. 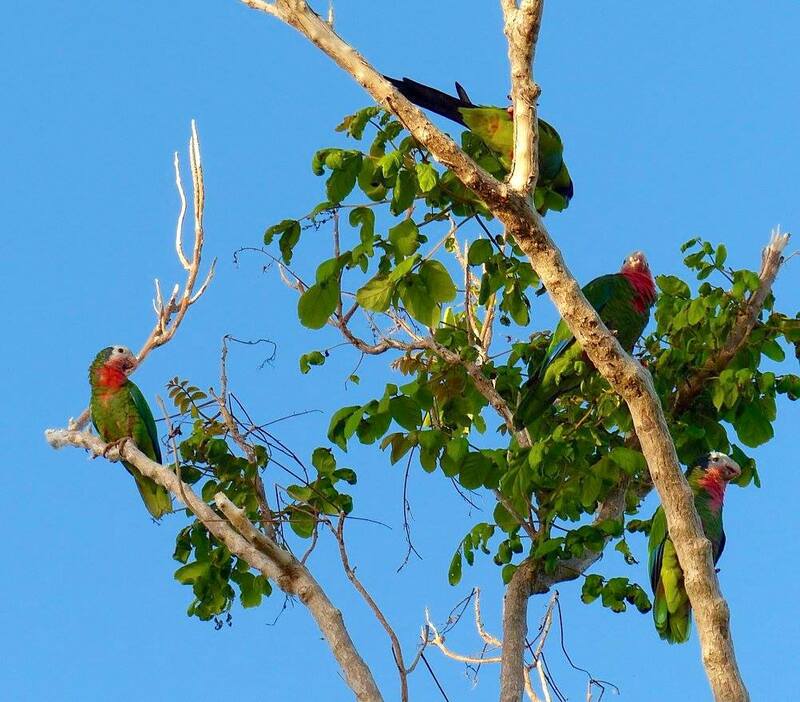 The photos in this post were all taken in the last couple of days by Nassau Resident Lynn Gape, of the BAHAMAS NATIONAL TRUST. 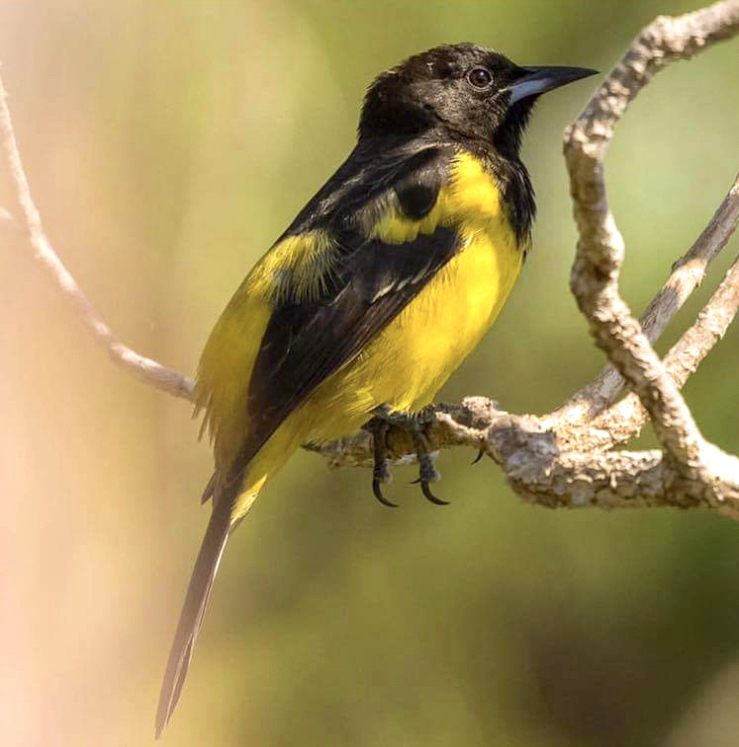 Some of them show very clearly the bright blue on the wings of these lovely birds – a colour that is much more evident in flight. 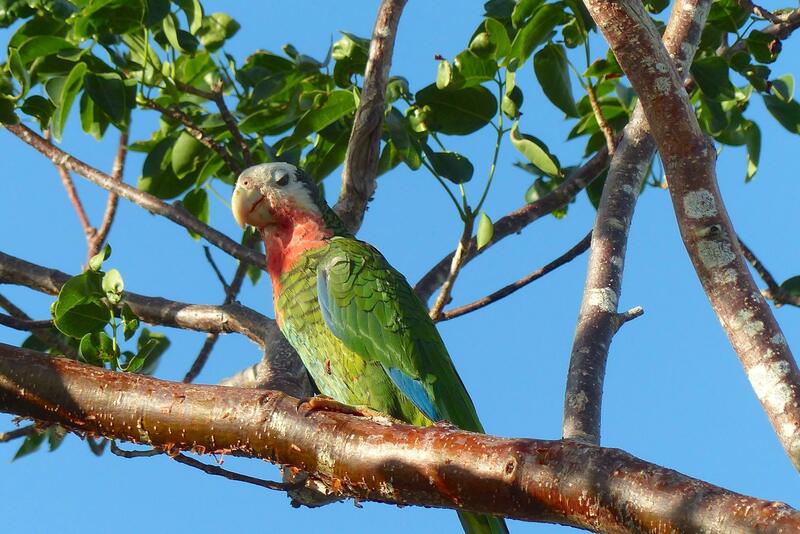 You can keep track of the Nassau parrots on a dedicated Facebook page BAHAMA PARROTS OF NASSAU LOCATOR. 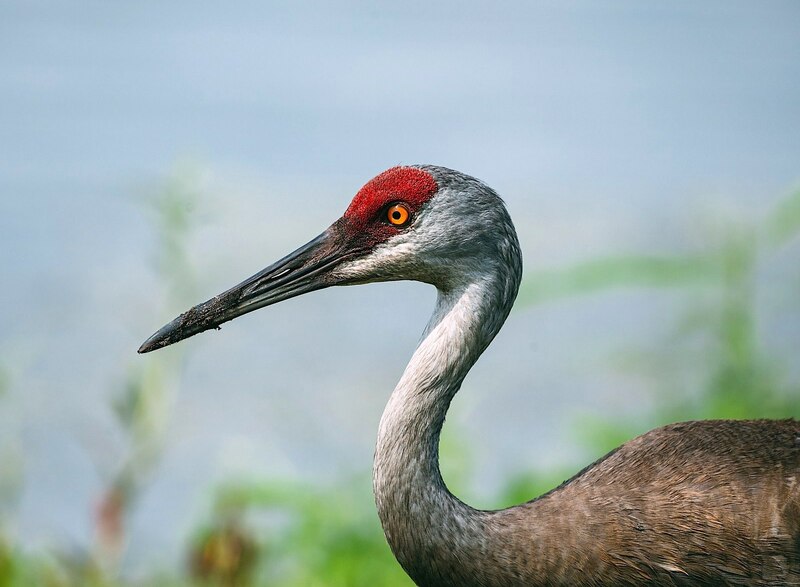 This is a well-used resource, with many local people adding their sightings (in some cases, just the ‘hearings’) of these lovely (but raucous) birds. From the reports I was able to draw up a rough map for the main area of sightings (red oval), and the hotspot from which most reports are made (orange oval). There are outliers, of course, mainly to the south. 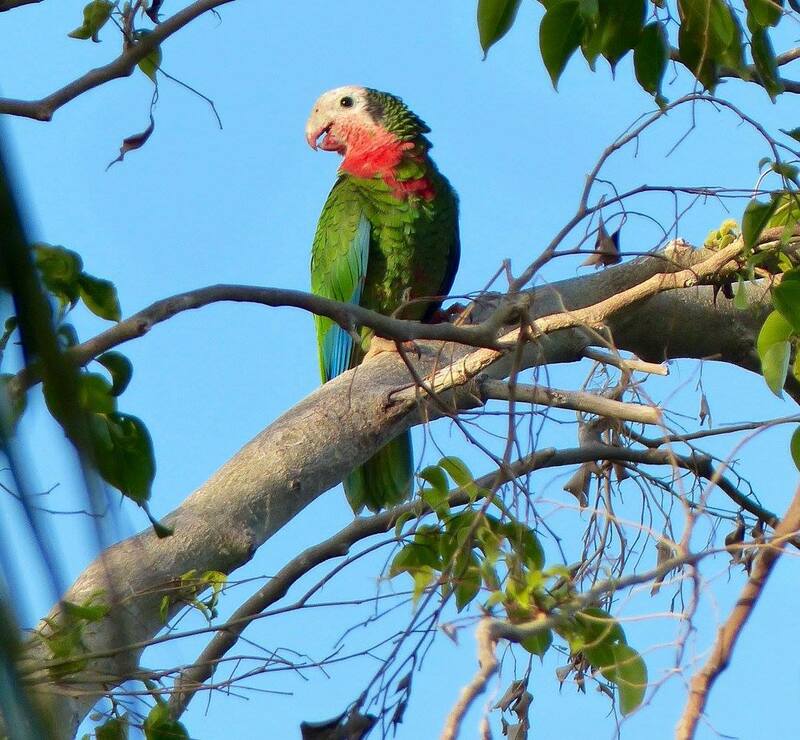 Like all parrot species, Cuban parrots are gregarious. And the more that are gathered together, the louder the party. 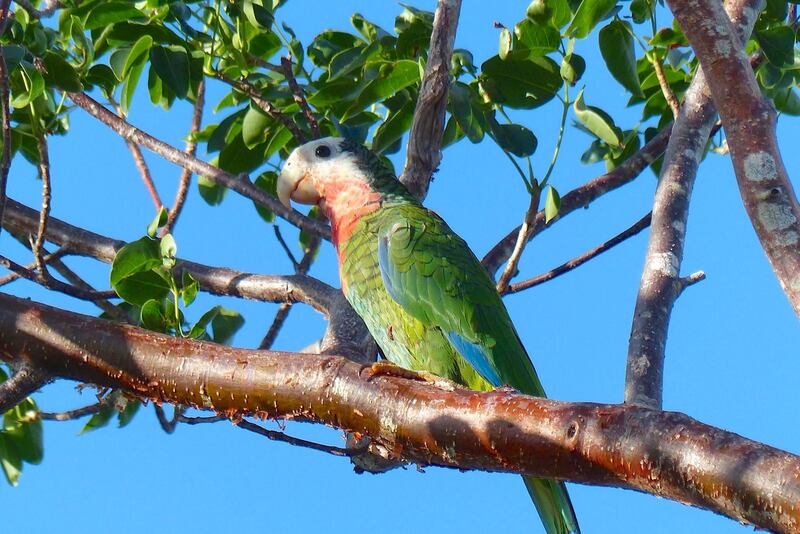 And other psittacine species are happy to get in on the act. 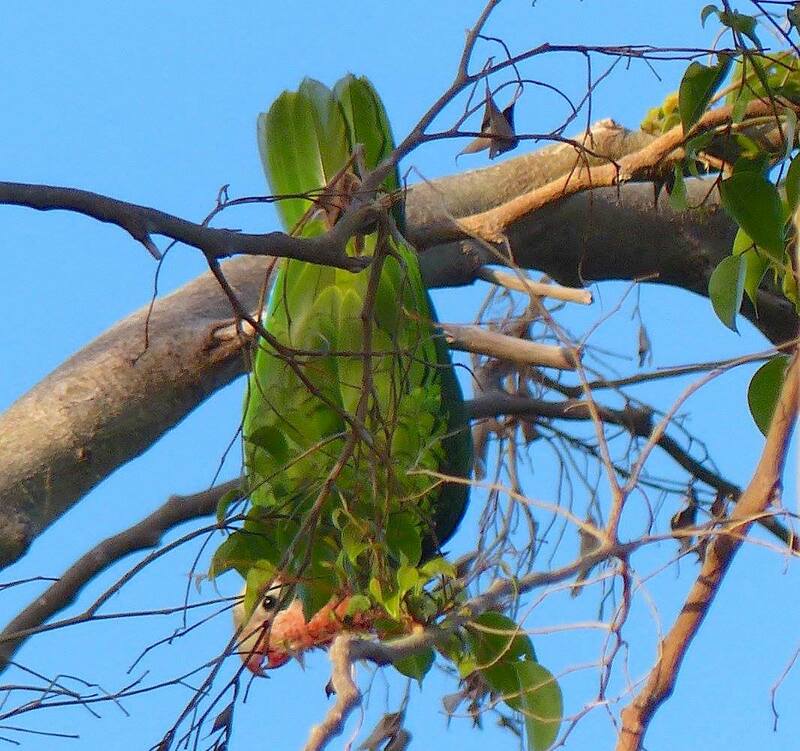 The image below and image #2 above show a black-headed parakeet mixed in with the parrots. I’ve seen earlier photos where he is hanging out with them. There seems to be no animosity between the species. So there we have it. The population is rising and there is no definitive explanation. 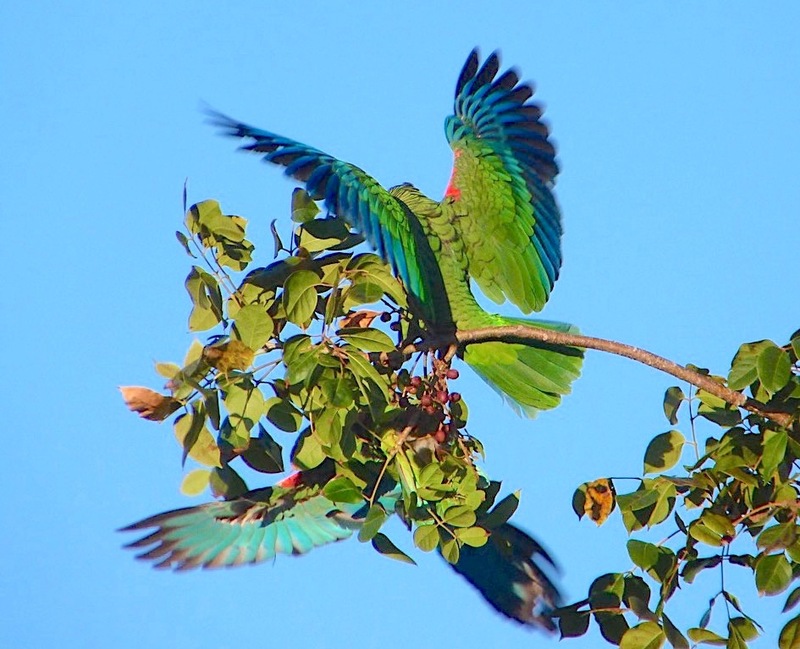 Releases of captive birds are unlikely, since these parrots are now a protected species. 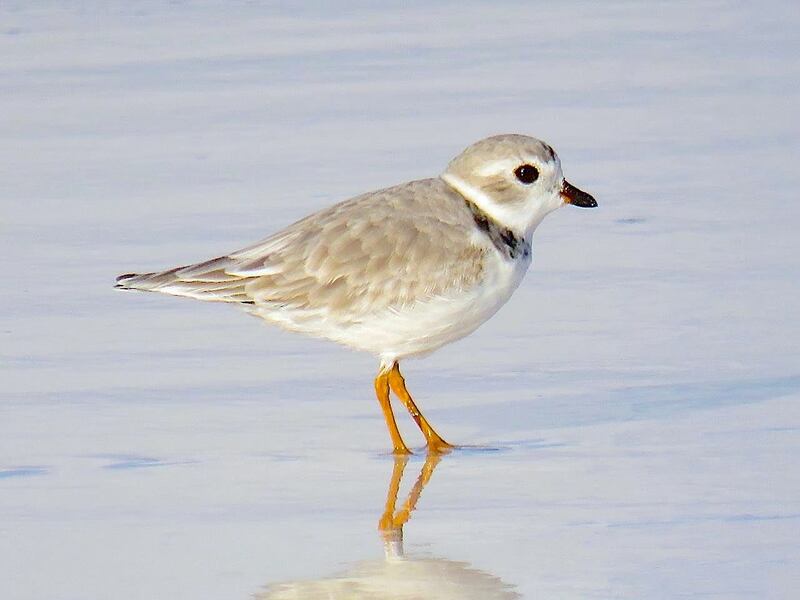 The smart money must, I think, be on a the colony nesting in tree holes somewhere secluded. 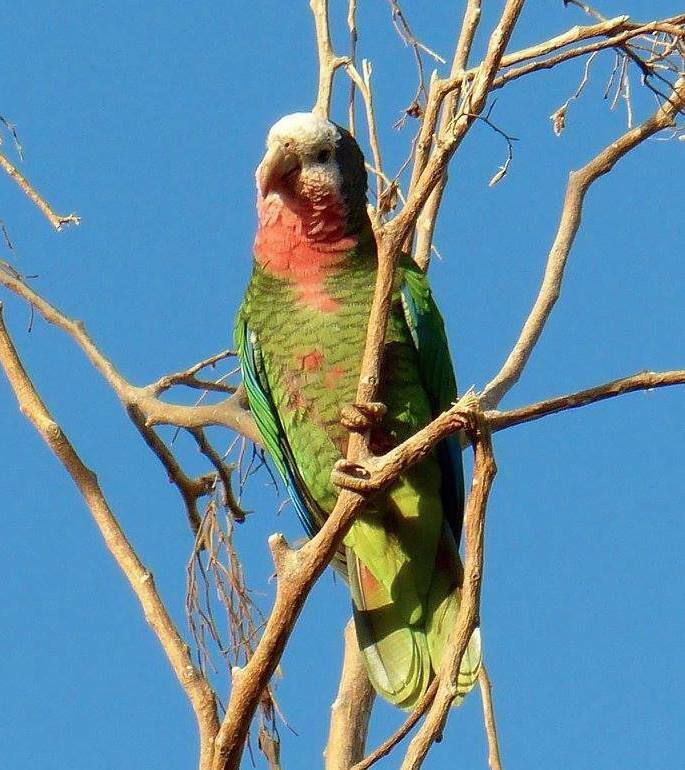 Parrot awareness has greatly increased on New Providence, and no doubt the issue will eventually be resolved. But in many ways I rather hope it remains a mystery. 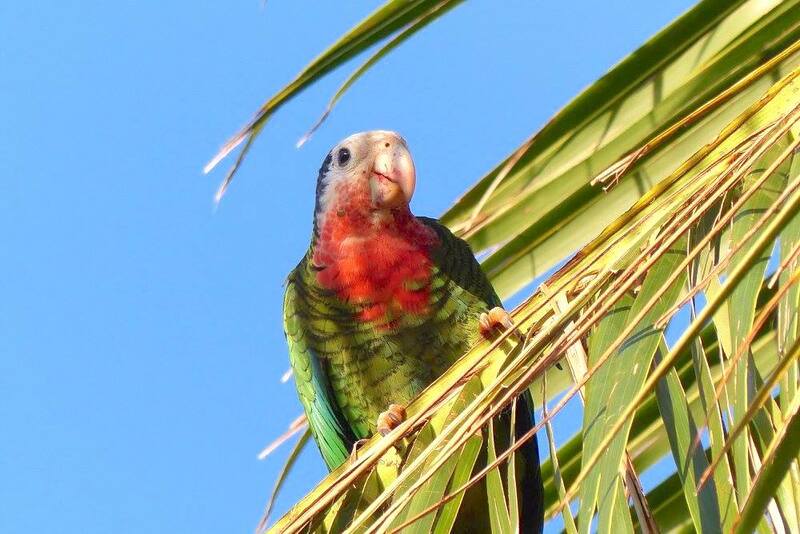 This entry was posted in Abaco, Abaco Birds, Abaco Parrots, Abaco Wildlife, Bahamas Birds, Birding Abaco and tagged Abaco (Cuban) Parrot, Abaco Birds, Abaco Parrot (Cuban Parrot), Bahamas (Cuban) Parrot, Bahamas Birds, Bahamas National Trust, Lynn Gape BNT, Nassau Birders, Nassau Cuban Parrot, New Providence Cuban Parrot, Parrot Conservation. Bookmark the permalink.